Looking for things to do in Mystic? Walking into the Harp and Hound you immediately feel like you've stepped into a small country pub in Ireland; sit down and enjoy a great conversation or good laugh with friends over a creamy pint. The Harp and Hound is one of a kind not part of a chain. Proprietor, Leo Roche hails from Glin, Co. 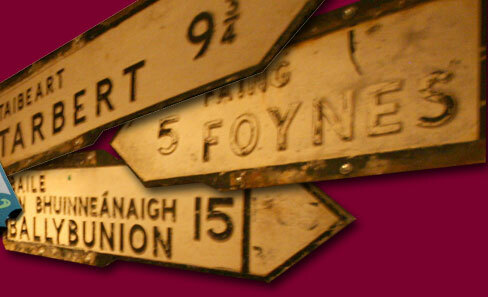 Limerick and is dedicated to keeping a fine "public house" with good food, good drink and good times. The Harp, as it's known by locals, has a great selection of draft and bottled beer sure to suit your tastes as well as a fine choice of Irish and Scottish Whiskies. We offer Irish coffees, Martinis and other Cordials for your drinking pleasure. 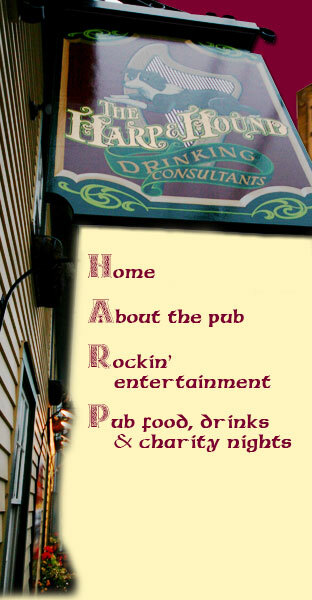 The Harp has live music entertainment weekly - Click on our sidebar to see who is playing. Enjoy a game on your choice of 3 flat screens.